In 1976, we recognized a wonderful opportunity to serve our community by providing storage facilities to meet the ever-growing needs of residents of the greater Tulsa Metropolitan area. As communities in the Tulsa area grew, so did we. We offer 6 storage facility sites; five locations in Tulsa and one in Broken Arrow. Our number one goal is to continue to offer unsurpassed, professional service to our friends and neighbors in our community who are looking for convenient and safe storage of their most-valued possessions like RV storage and boat storage. 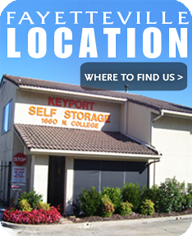 Keyport Storage offers a wide variety of storage-space sizes to accommodate individual or group needs. We utilize a 'Unit-Size Estimator' to help you, accurately, determine what our most common units will hold. 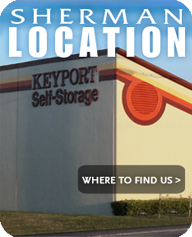 Whether you are looking for a closet-sized area of 25 square feet for personal items and small appliances or a much larger space to accommodate up to 7-9 rooms of furniture and large appliances, be assured that Keyport Self-Storage is here to walk you through the details to guarantee a 'custom fit' area to specifically meet your small, medium or large-space requirements.